She spent her childhood moving between unstable home situations. The weight of all the challenges could have been overwhelming, but she persevered. 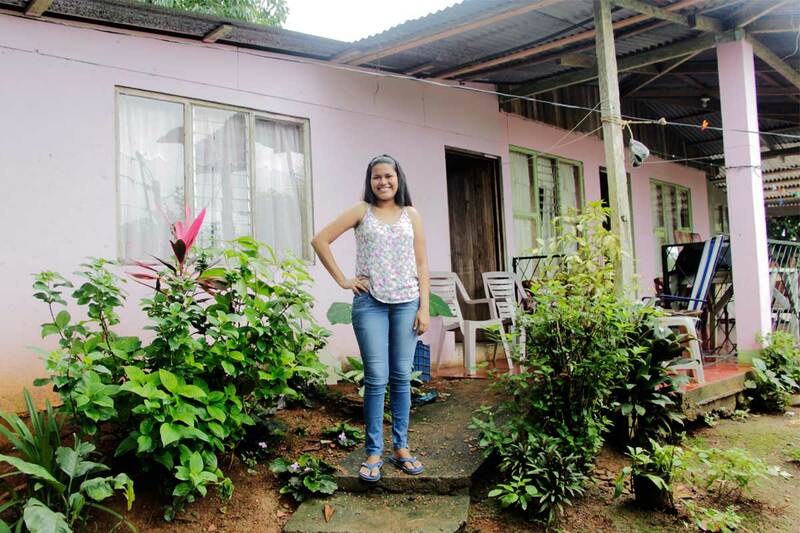 Damaris, now 23, is finding her way as a sponsored member and scholarship student in Unbound’s program in Costa Rica. She’s pursuing a degree in human resources at a local university. Through sponsorship, an Unbound scholarship and her work as a cashier, Damaris is closer to achieving her goal. She’s grateful for the faithful support she’s received from her sponsor, Christen from California, since 2004. Damaris embodies Unbound’s spirit of “superando junto” or overcoming together, which is a phrase used by our Spanish-speaking programs to describe what Unbound means. She maintains a positive attitude with the hope that tomorrow will be better than today. “Despite everything, there’s always a light,” Damaris said. “There are many people supporting you. Always learn from every positive situation, holding God’s hand always. Help provide stability in an aspiring student’s life. Donate to Education today!